Up until very recently I had never tried a pod-style coffee despite having friends and family who rave about them. To be honest, I had never really taken them very seriously. 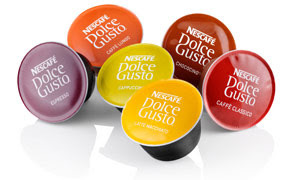 The Nescafe Dolce Gusto is made my DéLonghi, renowned for making excellent coffee machines. 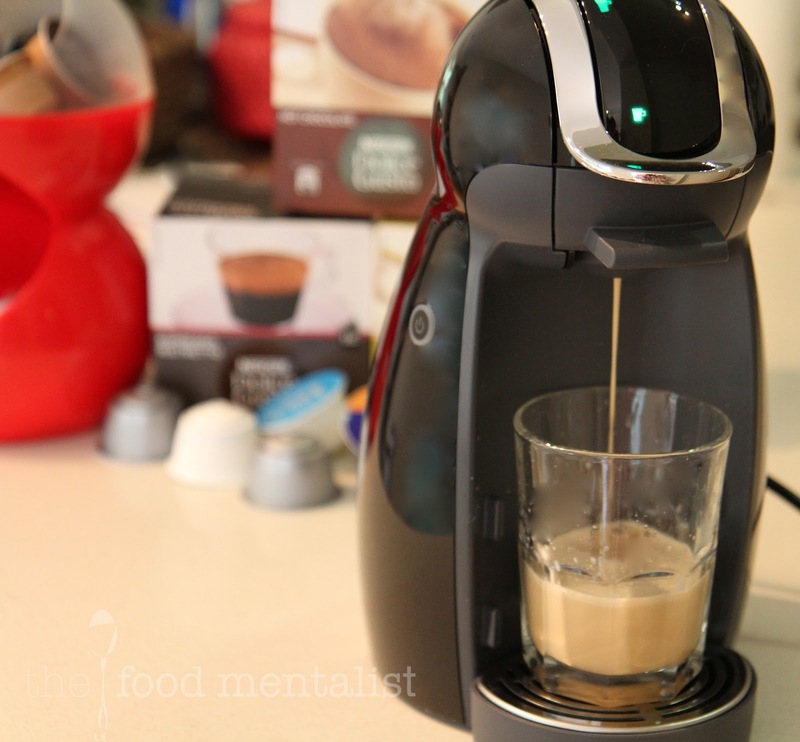 I was intrigued when asked if I wanted to review their Genio machine, one of the main things that piqued my interest was the fact that it makes iced cappuccinos and iced tea. Espresso Intenso - High on aroma and a velvety crema layer. Espresso Decaf - A medium roast made from 100% Arabica beans. Espresso Ristretto - Short and full bodied. Caffe Americano - A light roasted, smooth blend w/ a mild taste. Cafe Au Lait - For those who want a regular style coffee with milk. Chai Tea Latte - Sweet and milky with a blend of cinnamon, ginger, cardamom and clove. Cappuccino - A rich shot of espresso topped with frothy milk. 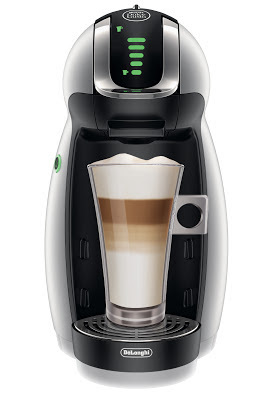 Latte Macchiato - A layered coffee with rich espresso, crema and milk. 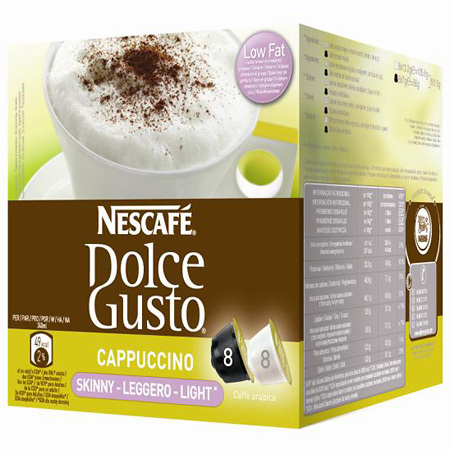 Skinny Latte Macchiato - Low fat and full of flavour. 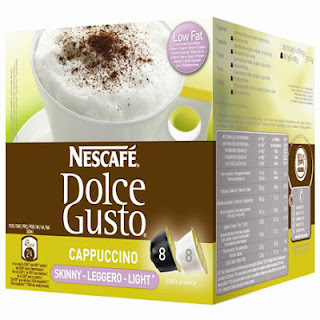 Caramel Latte Macchiato - Smooth caramel creamy coffee. Hot Chocolate - Rich and velvety. Cappuccino Ice - Perfect for summer. A creamy and refreshing coffee. Nestea Peach - Refreshing peach flavoured iced tea. The machine itself is stylish and makes a great addition to any kitchen bench. It's particularly streamlined so it's perfect for smaller kitchens or those who don't want a large machine taking up all their available bench space. It comes in black or silver. The water tank is easy to fill and re-attach to the machine. 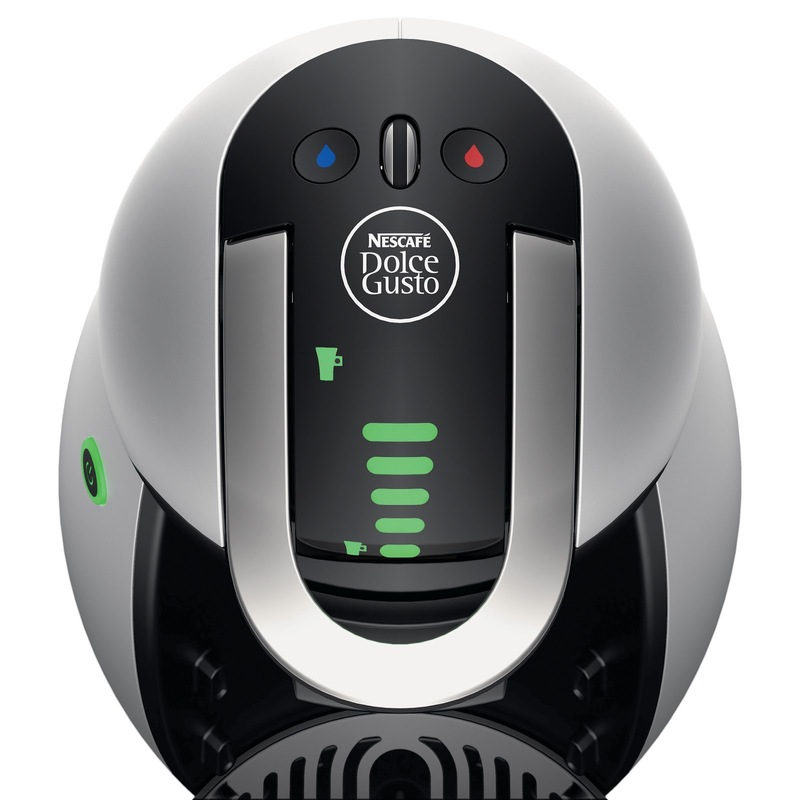 It comes with a 24 month DéLonghi mechanical and electrical warranty. It makes iced cappuccinos and tea and they taste good. 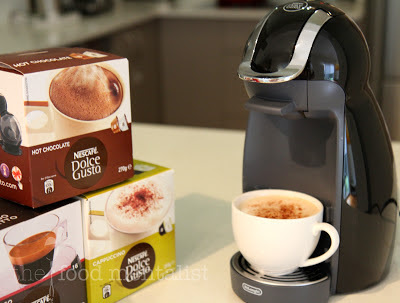 I love my skim cappuccinos and these pods are only available online. Good if you want to order in bulk but a little annoying if you run out before you remember to re-order as you can't just run down to your local Coles. The same goes for a few other varieties also. The water tank is not huge, so if you are making more than 3-4 cups at time (depending on type of beverage) you may have to refill it. However, as I mentioned before it's super easy and quick. The Food Mentalist road-tested the NEW Nescafe Dolce Gusto Genio Coffee Machine compliments of Nestlé.These views are the personal views of The Food Mentalist and do not necessarily reflect the views of Nestlé. Is this the one that also makes hot chocolate too?